The NAMA Memorial Fellowship is awarded annually to promising graduate students in mycology. Applicants are evaluated on the basis of their scholastic merit, research ability and promise shown as a mycologist. We are pleased to present the 2018 NAMA Fellowship Award to Mr. Jacob Golan, a PhD candidate studying at the University of Wisconsin-Madison under Dr. Anne Pringle. His project is entitled “The luckiest spore: short distance vs. long distance dispersal as tested within a biophysical framework using two Alternaria species.” While this particular project examines a mold, Mr. Golan is a well-rounded mycologist whose background broadly spans the fungi, and his broad interests and history of public engagement are well in keeping with the traditions of NAMA. Jacob's research focuses on how fungi move - from across landscapes to across continents - and approaches questions of dispersal from biophysical, genetic, genomic, and ecological perspectives to understand better​ fungal biogeography, epidemiology, and population dynamics. Two emerging model systems currently serve his research: Alternaria alternata/A. solani in his biophysical work, and Amanita phalloides in his genetic and genomics work. Additional interests include the intersection between microbiology​ and intellectual property rights. Rachel Koch received a B.S. in Biology from the University of Notre Dame in 2011. She joined the lab of Dr. Cathie Aime in August 2011 and became a Ph.D. candidate in June 2014 at Purdue University. Her dissertation research focuses on the recently described gasteromycete Guyanagaster necrorhizus, known only from the Pakaraima Mountains of Guyana. One of the primary goals of Rachel’s research is to elucidate how G. necrorhizus accomplishes spore dispersal, since the morphological characteristics of this fungus are drastically different compared to other gasteromycetes with known dispersal mechanisms. Recently, a community of bacteria were discovered to be residing inside G. necrorhizus fruiting bodies. Funds from this award will go towards expression analyses at different maturity stages of G. necrorhizus to determine if this fungus receives a fitness benefit for housing bacteria. Marisol Sánchez-García received a B.S. in Biology and a M.S. in Systematics from the Universidad Nacional Autónoma de México (UNAM) where she worked on the systematics of the genus Melanoleuca under the supervision of Joaquín Cifuentes. She is now a PhD candidate at the University of Tennessee, Knoxville, working with Brandon Matheny. Her current research focuses on the systematics and evolution of the Tricholomatoid clade, and she is particularly interested in studying diversification patterns within this clade and the genetic changes that underlie transitions from saprotrophic to ectomycorrhizal fungi. Along with P. Brandon Matheny, Götz Palfner, and D. Jean Lodge, she recently published a paper, Deconstructing the Tricholomataceae (Agaricales) and introduction of the new genera Albomagister, Corneriella, Pogonoloma and Pseudotricholoma. Learn more about Marisol's work: eeb.bio.utk.edu/peopletwo/marisol-sanchez-garcia/. Cesar Herrera (University of Maryland) is the recipient of the 2013 NAMA Memorial Fellowship. The title of his project is "Cospeciation of the mycoparasite Cosmospora with its associated fungal hosts". The MSA award selection committee found that this project included a compelling combination of morphological and molecular methods, and was one of the most interesting and innovative proposals submitted this year. 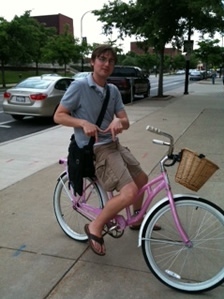 He is a graduate student in the Mycology Lab of Dr. Priscila Chaverri at the University of Maryland. 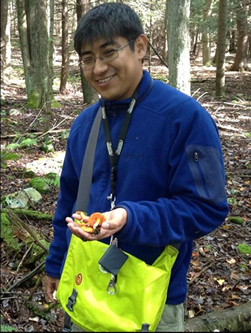 Cesar’s research at the University of Maryland deals with systematics of Cosmospora sensu lato. Cosmospora is a hyperdiverse and possibly polyphyletic genus, common in tropical and temperate regions. Anamorphs in this artificial genus include: Acremonium, Chaetopsina, Fusarium, among others. He is using morphological and molecular tools to test taxonomic and evolutionary hypothesis. Dimitris Floudas received his bachelor’s degree in Biology from the National and Kapodistrian University of Athens in 2006. During the last year of his bachelor’s degree he completed his diploma dissertation under the supervision of Dr. Zacharoula Gonou-Zagou and Dr. Evangelia Kapsanaki-Gotsi, where he studied taxonomy and diversity of Agaricomycetes in central Greece and performed screening of basidiomycete isolates for their bioremediation potential, focusing particularly on lignicolous species. After graduation, Floudas participated in two research projects at the University of Athens: He monitored the diversity of lignicolous basidiomycetes in four distinct forest ecosystems in Greece; and he tested the enzymatic ability of Phanerochaete chrysosporium and Pleurotus ostreatus to degrade recalcitrant organic phenolic compounds of oil mill waste water. 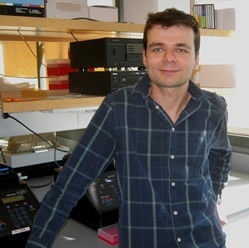 Floudas joined David Hibbett’s lab at Clark University in August 2008. His PhD thesis will focus on the evolution of wood degrading systems in Agaricomycotina using comparative genomics. Additionally he is working towards a modern taxonomic study of the genus Phanerochaete, a diverse and taxonomically perplexed genus in Polyporales. Vincent Hustad is the 2011 recipient of the NAMA Memorial Award. Vince is a PhD candidate at the University of Illinois at Urbana-Champaign, working under the supervision of Dr. Andrew Miller. 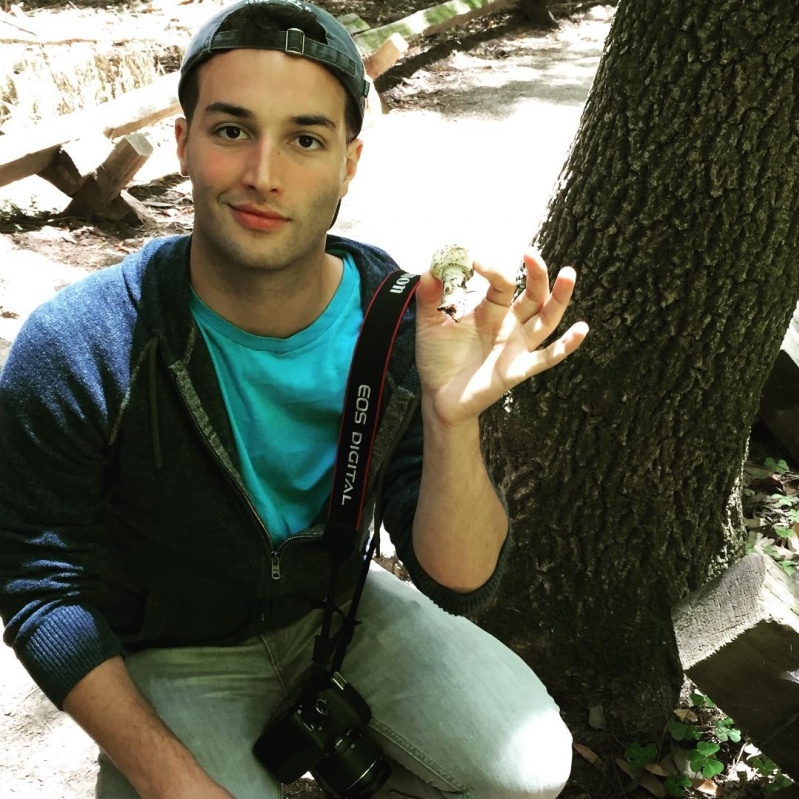 Vince’s dissertation research is the construction of a comprehensive, species-level phylogeny of the Geoglossomycetes, incorporating morphological, molecular, and ecological data. Vince earned a M.S. from Eastern Illinois University in 2008 studying terrestrial macrofungi in old-growth prairie groves under Dr. Andrew Methven. 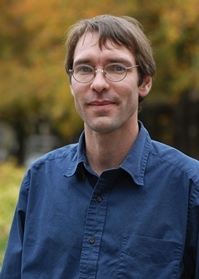 His research interests include forest fungal and lichen ecology and Leotiomycete systematics. Vince will use his award funds to collect specimens in Europe this fall. 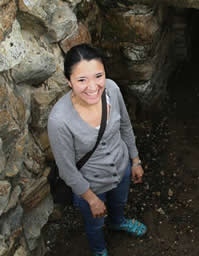 Valerie Wong is a PhD candidate in the Department of Plant and Microbial Biology at the University of California Berkeley, mentored by Dr. Thomas Bruns. 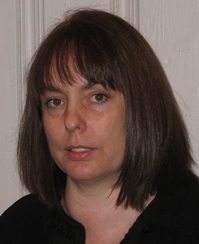 Valerie received a Bachelor’s in Biological Chemistry from Wellesley College, where she studied rhododendron carotenoids and plant actin-binding proteins. During the summer of 2000, Valerie worked at the University of Hawai’i Manoa to optimize carotenoid production in algae. She took a brief stint studying animals as a research assistant for Dr. Joan Ruderman at Harvard Medical School, working on understanding the G2 to M phase transition in the cell cycle. For her dissertation, Valerie is investigating interactions between the obligate mycoheterotrophic plant Pterospora andromedea and its mycorrhizal host, Rhizopogon. 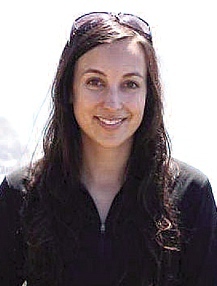 Jennifer Kerekes is a PhD candidate in the Department of Plant and Microbial Biology at the University of California, Berkeley under the supervision of Dr. Tom Bruns. Jennifer received a BS in Natural Resources and Environment from the University of Michigan in 1999 and an MS in Ecology and Systematics from San Francisco State University in 2006. From 1999 to 2000 she was a research assistant in the School of Natural Resources at the University of Michigan where she performed statistical analyses on and identified aquatic insects from Venezuela. From 2000-2002 she was a Peace Corps Volunteer in El Salvador and taught environmental education at local elementary and high schools. From 2003-2005 she was a National Science Foundation GK-12 Fellow at San Francisco State University where she taught inquiry-based science lessons for 7th grade Life Science classes. Her dissertation project is entitled Diversity and ecology of saprotrophic fungal communities in Californian grassland and forest ecosystems. 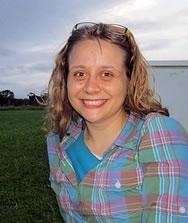 Jo Anne Crouch is a recent graduate of the PhD program in the Plant Biology and Pathology department at Rutgers University, where she studied the evolution of grass-associated Colletotrichum with Brad Hillman. Jo Anne’s dissertation research focused on Colletotrichum that cause anthracnose disease in turfgrass and cereal crops, and contrasted these agronomic pathogens against endophytic populations of Colletotrichum in wild and cultivated grasses. 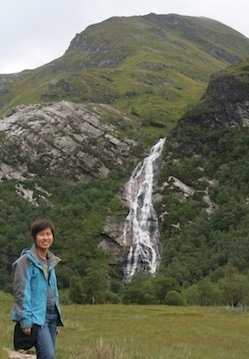 In addition to her work with Colletotrichum, Jo Anne also contributed to studies of Cryphonectria parasitica transposons and repeat-induced point mutation, the biogeography of the C. parasitica CHV1 virus in Asia and Europe, type III secretion and mechanisms of pathogenicity in the bacterium Lysobacter enzymogenes, and the systematics of the fungi comprising the cranberry fruit rot complex and is a participant in the genome sequencing projects of C. parasitica and L. enzymogenes.